If you answered yes, you probably have suffered intensely for quite sometime but you want to get better. My heart goes out to you and I encourage you to trust that there is a way out - you can feel better. Unfortunately, in our society you may receive more sympathy if you break an arm or leg than what you will receive if you are depressed. With depression friends, family and co-workers can't see a cast as with a broken limb. But looks are deceiving as depression can typically be much more serious than a broken bone if left untreated. Because of social withdrawal and loss of interest in previously enjoyed activities the depressed person becomes more isolated and immobilized which increases their symptoms. If they are employed they are at risk of losing their job if the weight of depression is so great that attendance, generating ideas, focusing on task completion, and interacting with others is like climbing Mt. Everest- it feels overwhelming and impossible. Unfortunately, depression takes on a spiraling effect as you might imagine. The guil﻿t from not keeping up with employer demands, family life, social expectations, managing day to day responsibilities, i﻿ncluding basic hygiene, has a cumulative effect that causes fee﻿lings of hopelessness. People do recover from addiction and depression to go on and lead fulfilled lives. Professional counseling is a crucial first step to begin your journey towards feeling better. Call or text 614-354-6962 to schedule your first session or schedule online. Just go to the SCHEDULE tab and click on "BOOK NOW." THERE IS HELP FOR DEPRESSION. WHAT TYPE OF THERAPY HELPS? 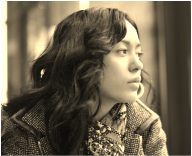 Cognitive Behavioral Therapy- focuses on exploring the way you view yourself, others and the world that leads to depression and lifestyle choices that reinforce the negative internal script. Powerful thought patterns, that we are unaware of, provide a continuous feedback loop that greatly impacts our mood. Many of these are primarily learned in our childhood and become the lens through which we view our lives. These thought patterns can be brought to light through the counseling process, deconstructed, grieved and new healthy outlooks formulated. 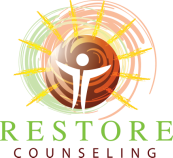 Trauma Informed Counseling- some depressions are rooted in traumatic experiences earlier in life. The weight of these experiences has a cumulative impact creating a depressed state. Along with telling their story in a non-judgmental atmosphere and grieving losses, clients are guided in restoring or discovering their internal and external strengths and resources as well as how to use their own body as a means to begin to bring about inner calm and peace. This process also involves identifying and replacing negative cognitions and if appropriate, using ﻿EMDR﻿ ﻿t﻿herapy to dissipate the strength of the negative patterns. Eclectic Multi-System Approach- Basically, this means using a combination of therapeutic approaches depending on the uniqueness of each individual client. This may include the use of art therapy, cognitive behavioral therapy, family therapy, narrative therapy, solution focused therapy, mindfulness based stress reduction, or dialectical behavioral therapy. The goal is to find a therapy that makes sense to the client and feels suitable to their needs. Very rarely is one type of therapy used exclusively. Medication- for many people a referral for an evaluation for medication results in significant improvement in mood. It is normal to feel apprehensive about taking medications and you have the right to become informed regrading what benefits medications can provide and what are possible side effects. Unfortunately, so many people suffer needlessly as they fear the stigma attached to taking medication. Depression is a serious condition with serious consequences. It is not a moral failing, a lack of faith, or a sign of weak character. If you choose to take medication you are treating a chemical imbalance not a character flaw or weakness. **f you need to talk to someone right now call the 24hr suicide hotline 800-273-8255 Suicide Prevention Services or contact Netcare 614-276-2273, if you or a loved one are in danger of hurting yourself or others call 911 or go to your nearest hospital emergency department.